Apartment 2 sleeps up to 4 people comfortably. 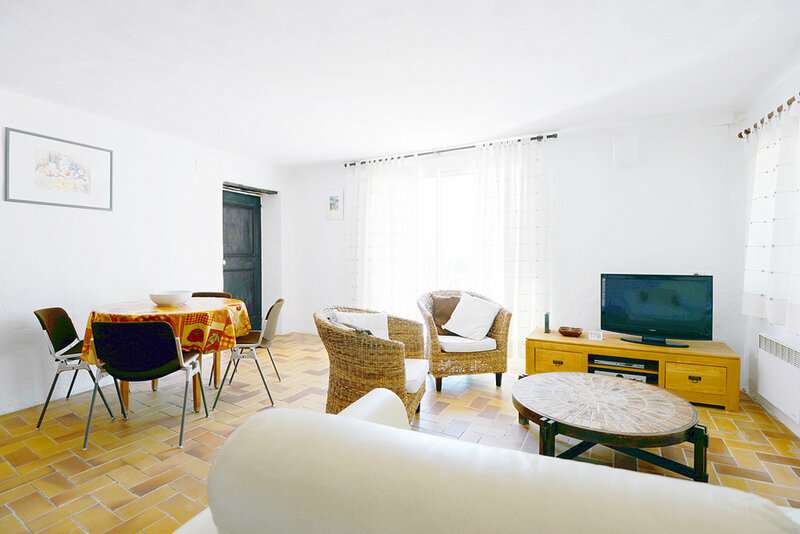 The apartment is light and airy, with a large open plan kitchen / living room, which is spacious and well equipped. 1 master bedroom with an en-suite and a double sofa bed in the living room. 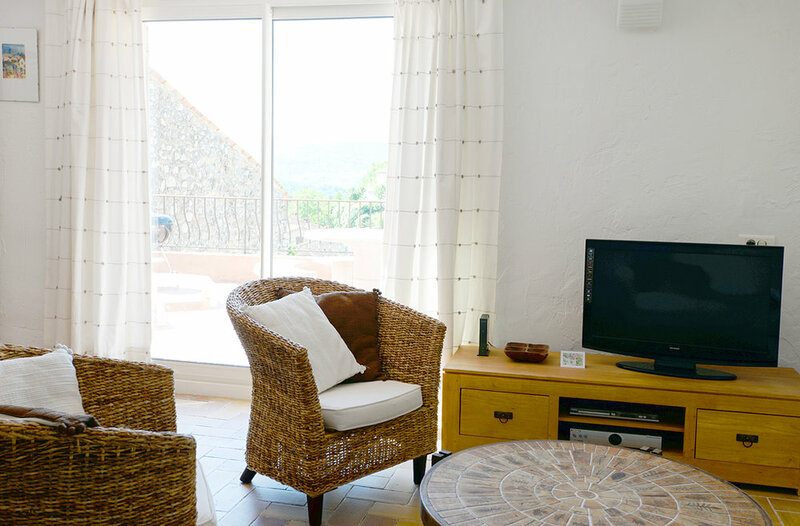 French doors lead on to a huge private sun terrace with stunning mountain views. The shared pool occupies a sheltered, south facing position, getting sun all say, it is usually heated from May through to October. The pool is maintained every day, ensuring it is kept clean. The swimming pool is shared by all the apartments for swimming but, we ask that you sunbathe in your own private terrace. 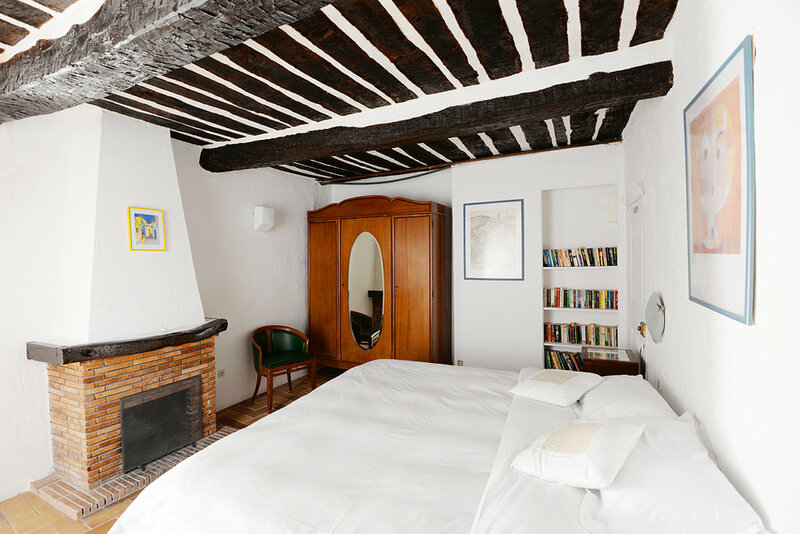 All bed linen, towels and toweling robes are included. Cots and high chairs are available on request. 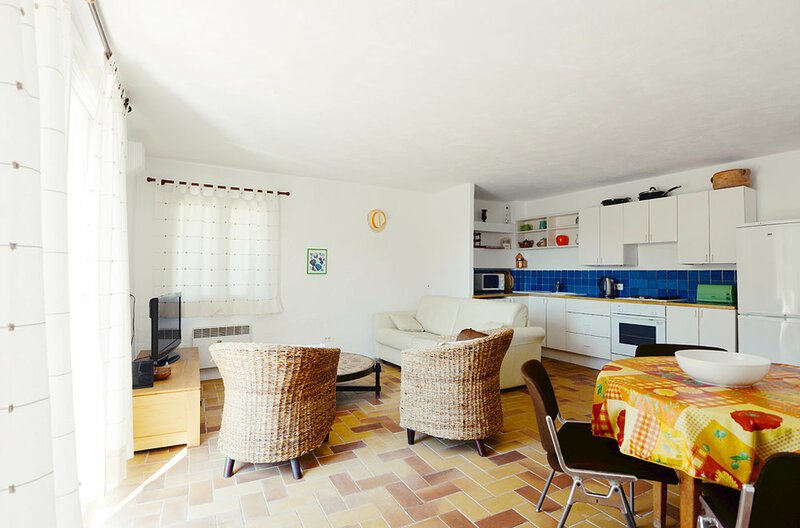 The apartment’s main room is spacious and light, with a well equipped kitchen. 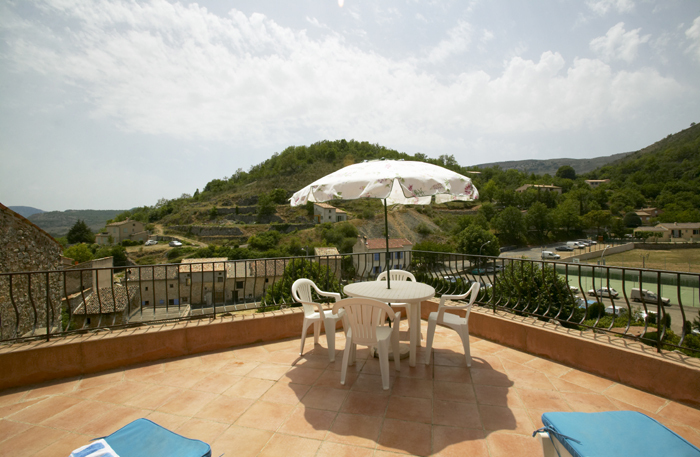 It opens onto a large terrace with a lovely view of the hills opposite. We had sun throughout our stay which meant we ate breakfast on the terrace every day as well as using it to sunbathe when we came back from outings.